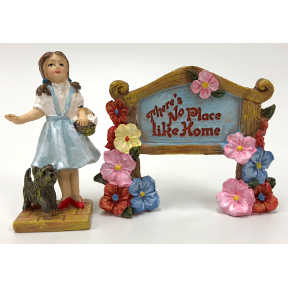 Polyresin Mini World of Oz Dorothy (and her little dog Toto) and Sign. Garden Décor. 2 piece set features a flower sign and Dorothy. Experience the magic of a Mini World Garden.